2. Extended more than N2.0 Trillion to State Governments to enable them meet salary & pension obligations. 3. Maintained consistent growth in the Agric & Solid Minerals sectors throughout the recession. 4. NSE ended 2017 as one of best performing in world with returns over 40%. 7. Revitalised 14 moribund Blending Plants with a total capacity of 2.3 Million MT of NPK fertilizer. 1. This morning we shall continue our mandate of bursting Lies. #FactsAboveLies. 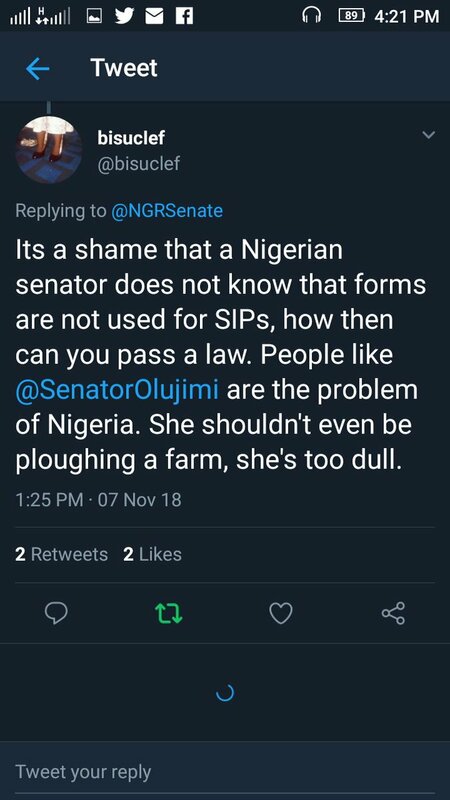 Our question is this: What drives the Nigerian Senate President @bukolasaraki that he must tell untruths in order to diminish the stature of PMB/PYO. Is it hate, mischief, sabotage or ignorance? 2. 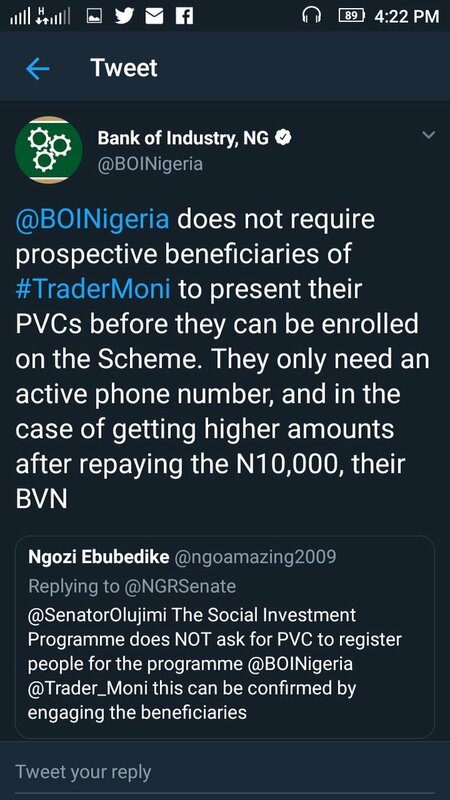 @bukolasaraki attacked the @Trader_Moni programme saying that it is a vote-buying exercise & he wondered why it was coming in 2018 & not 2016 & 2017? 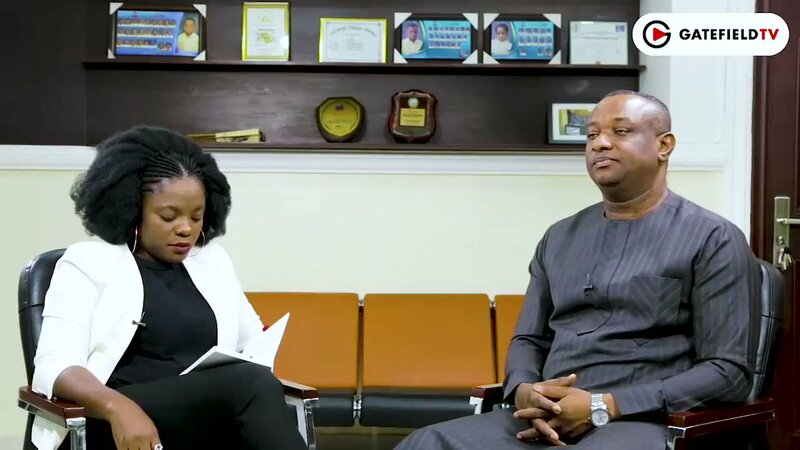 He surreptitiously also wanted to take some credit for the programme for he said "when we approved the money" meaning Budget..
Hello Country pipu, make we do small #FactsAboveLies with everi everi wey ogbonge Lawyer, SAN Festus Keyamo yarn for that intafiu with Abang the Jonalist.......Una ready make we check am??? 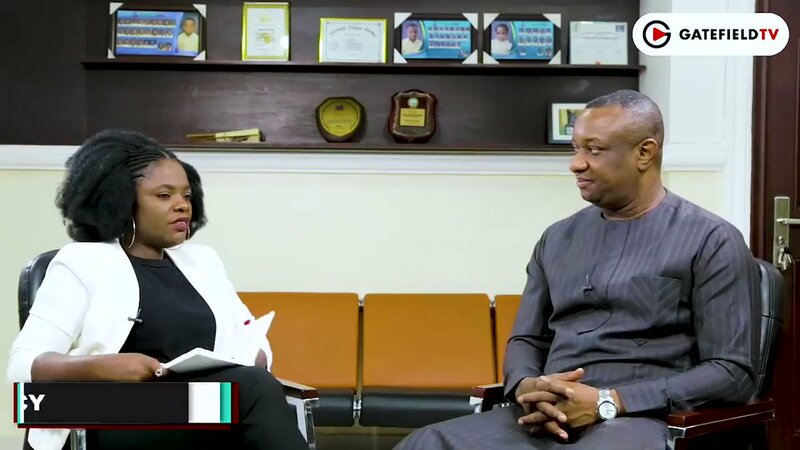 The Jonalist come ask Keyamo join for the "human right history" of Buhari Gofamenti, na so SAN Keyamo use #FactAboveLies strangle the Jono o, Nobody dey prison because say him be politician during Buhari time o, and each case wey una wan mention get peculiar explanation. I gree! 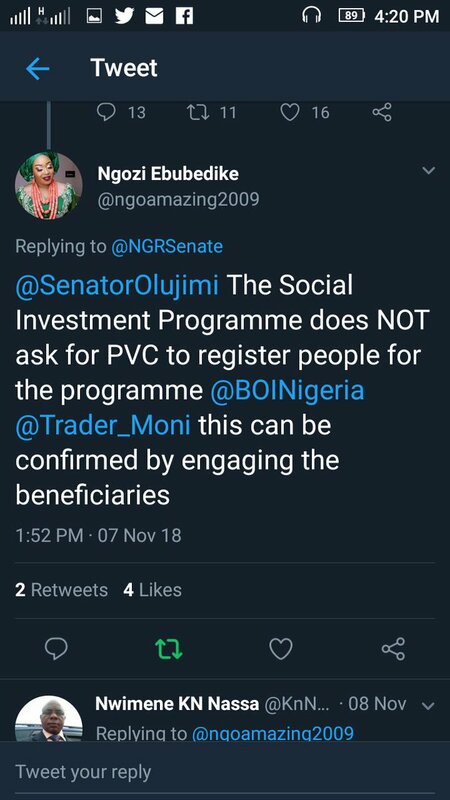 2)...consult her constituents, the people she's supposed to be representing, stood in the Hallowed Chambers and told a shamefaced lie about one of the social investment programme, @Trader_Moni. She accused the FG of politicizing the Loan. 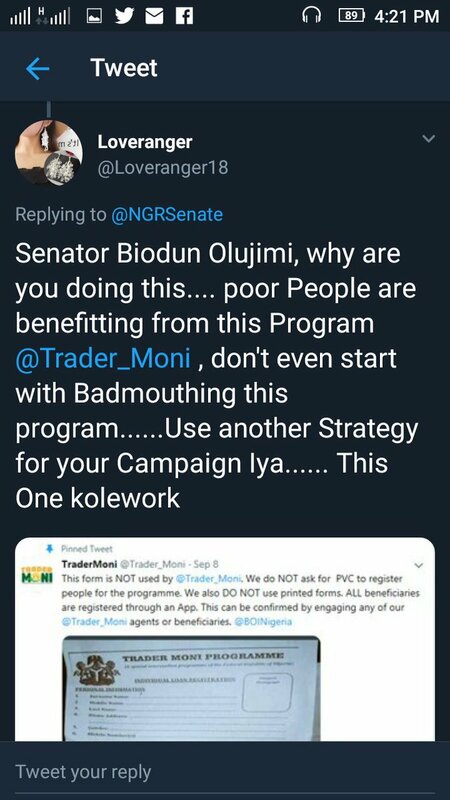 3) Fortunately some Nigerians and the Bank Of Industry @BOINigeria which is in charge of disbursing the funds (to the petty traders @Trader_Moni, the SMEs via @MarketMoni, and the farmers via farmer Moni,) responded quickly to the allegations. 1) You have all heard this accusation: that PMB is a sectional leader. You have heard that his appointments are skewed to the North. We decided to find out how true this is and the results are shocking. 2) Always our President has demonstrated that he is a stickler for following the law. 3) There is a constitutional body that checks the appointments of the President to make sure they comply with Federal Character as Prescribed by the Constitution. This institution is the Federal Character Commission (federalcharacter.gov.ng). 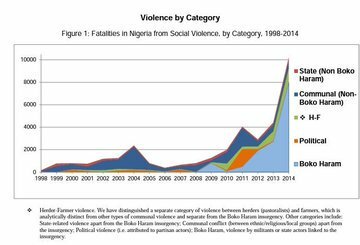 -2013 no fewer than 9 cases of herdsmen attacks were recorded in Benue State alone, with more than 190 people killed. 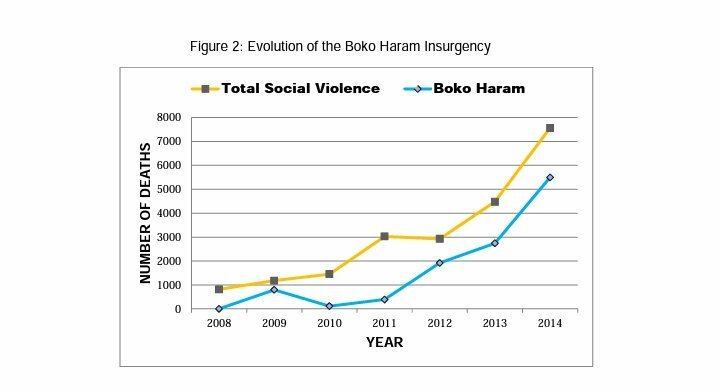 -2014 there were no fewer than 16 recorded attacks, in Benue, which claimed more than 230 victims. -Between January and May 2015, 6 attacks left more than 300 people dead, again in Benue State alone. 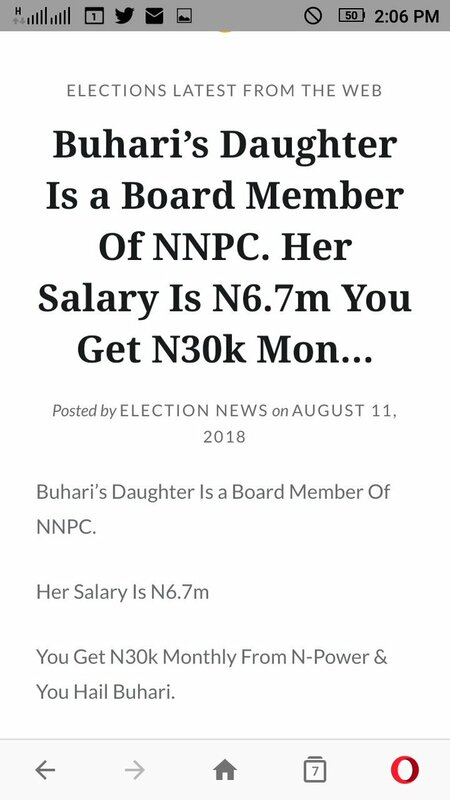 Remember the furore in the news back in August this year about Buhari's daughter being a Board member of NNPC, with a monthly salary of N6.7M? 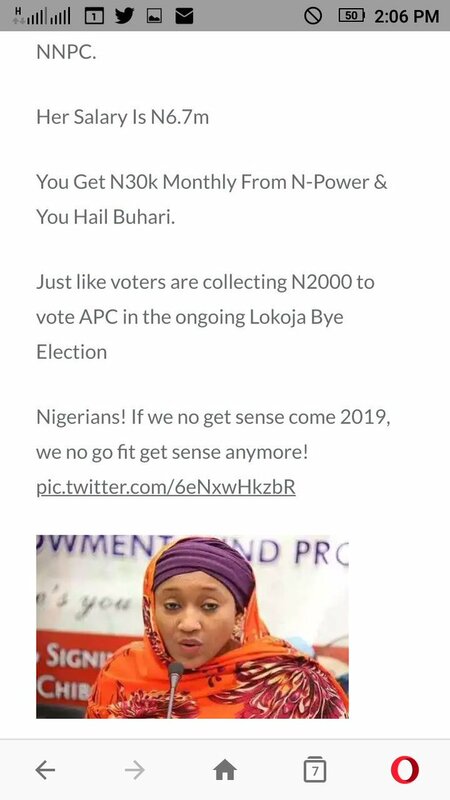 Election.org.ng (these blogs & sites publish unverifiable reports and #FakeNews). Always Fact-check. Don't be deceived. Did you ever wonder whether there was a $25B fraud at NNPC? THERE WAS NO FRAUD. That is the one major lie that the PDP has tried to force on Nigerians. The Party's official spokesman boldly lied on @channelstv and was fact-checked by @AjuriNgelale. The strategy of propagating lies of @OfficialPDPNig which is; "If you tell a big enough lie & tell it frequently enough, it will be believed" is DOA because we know that the chief proponent of such a strategy was Adolf Hitler & he was disgraced. 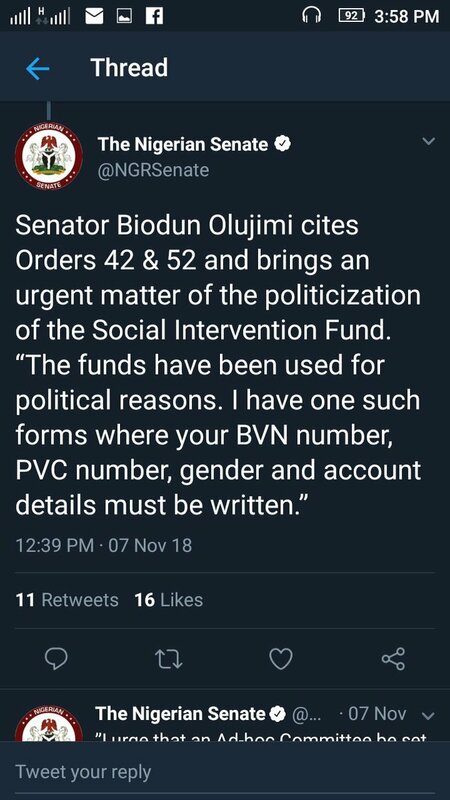 So too shall the @OfficialPDPNig. “Claims on social & traditional media that $25b worth of oil contracts were awarded by the NNPC or that $25b in NNPC funds is missing are both false. “No contracts were procured by the NNPC based on the leaked memo of the Petroleum Resources Minister of State."